Introduction Magento is an open source e-commerce web application that is built using Zend Framework of PHP and Entity attribute value (EAV) database model to store data. Magento has rich features which offer users an unparalleled flexibility to manage the content, looks and functionality of their e-Commerce store. It is designed to allow merchants to create a totally unique site, customized as per their unique business requirements. It is tailored specifically to suit business with robust marketing tools, search engine optimized page structure and easy catalogue-management. Magento is now solely owned by eBay Inc.
1. Open Source Platform Since this is open source software, it can be downloaded for free. Developers can modify the source code and add features and functionality by creating or installing add-ons and plug-ins as per the business requirement. 2. Easier Site Management All the sales and customers can be managed from a single database. This saves a lot of time of placing orders and managing sales. It also has other features such as multi-language, multi-currency support, product browsing, shipping, order management etc. Magento can even operate multiple stores from single installation and helps to manage them from one admin panel. 3. Scalable Platform Magento is highly scalable and flexible that can be customized to serve any business model. Magento can be molded as per the requirement for a small business or complicated and sophisticated requirements very easily. 4. User Friendliness Magento can display the products of the store easily, which gives the people a great buying experience. Effective layout helps people in site navigation, hence helps to easily search products they are looking for. Zoom-in capability, product reviews, multiple images of a product are some of the features that make Magento user friendly and inspires the visitors to make a buy and revisit the website. 5. Search Engine Optimization Magento creates very clean URLs with keywords, tags and descriptions that are SEO friendly. This directly helps in placing the URLs in organic searches for prominent search engines. As the URLs are prominently placed, the chances of the page appearing in search increases, which invariably increase sales and revenue of a web store. 6. Analytics and Reporting Magento supports Google Analytics, Google Base and Google Checkout. This helps to keep track of the site visitors and generate reports on shopping cart abandonment, search terms used within the store, most viewed products, etc. This reports help in further optimizing the process for increased revenue. 7. Security and Payment Option Magento is a secure platform, the implementation of SSL security and dedicated IP is easy for PCI compliance. Magento supports various standard payment methods, like PayPal, Authorize.net , PAYBOX PAYONE, Braintree, First Data, WorldPay etc. Magento has inbuilt feature supporting offline payment methods like check and money order. 8. Magento API Magento application can accesses the resource by sending an HTTP request to the Magento API server. The server replies with a response that contains either the data are requested, or the status indicator, or even both. Magneto can be easily integrated with a lot of major third-party sites such as Google. Similarly, Magento is also supported by some of the most popular shipping companies including UPS and FedEx. 9. Supports Mobile Commerce HTML5 capabilities are integrated into Magento Community and Enterprise editions. With this, Magento store owners can offer better mobile shopping experiences across multiple web browsers and show the mobile-optimized version of the site and provide either the full site catalog or a smaller selection of products tailored for the mobile customers. 10. Magento for Premium Users Magento has an Enterprise Edition for premium users which comes with a yearly license fee and is not open source. This package includes two production server licenses and one development server license to accommodate complex product catalogs and high-volume transactions. The Magento Expert Consulting Group (ECG) provides support from architectural advises to reviewing the code for optimizing the store. Magento U, a professional training unit provide development skills and ways of customizing the look and feel along with knowledge on daily usage of the store. 11. Wide Community Support Magento has a catalogue of 10000+ ready extensions available in the Magento Developer Community. The Extensions extends the Magento framework further at zero or very little costs. The Magento developer community keeps updating and releasing new extensions with advanced features, thus making working with Magento easy and smooth. 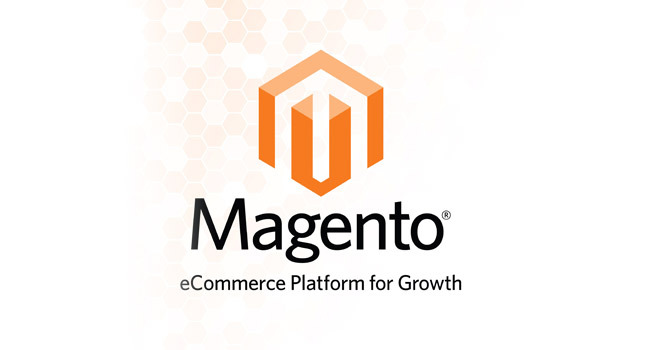 Magento has ready avauiable low costs extensions to connect with most ERPs, CRMs. Accounting Systems, Payment Gateways, Shipping APIs and also for porting Magento store as Native Applications on Smartphone’s like iPhone and Andorid. 12. Regular updates Being an open-source platform, Magento is constantly updated by a team of developer’s continuously striving to improve the user experience. The Magento developer program ensures an efficient and smooth update to the existing framework enhancing features and functionalities at regular intervals. 13. Conclusion Although every ecommerce solution has its definite advantages and disadvantages, it is important to have a clear concept of own prime business priorities while choosing the right platform for the e-commerce website. Though Magento is a feature rich platform but its maintenance cost is high as compared to other open source platform. Magento sites are SEO friendly, Robust and scalable platform with having wide range of extension support as compared to other available open source frameworks.